A lot happens on this bustling urban campus of 30,000 students. Between classes you can take part in one or more of SF State's many clubs, organizations, fraternities or sororities. 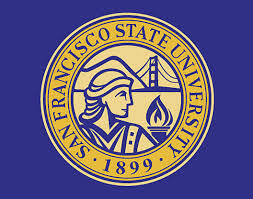 San Francisco State is a student-centered university, providing many support services from child care to disability assistance. The University offers a full range of cultural and performing arts events throughout the year, as well as athletic events, lectures and workshops. And once you're enrolled as a student on campus, be sure to check out SF State's career planning resources to help you get that great job after graduation.A premiere comprehensive university, San Francisco State attracts world-class faculty dedicated to the pursuit of excellent teaching, the development of students' potential, and the advancement of discovery, understanding and expression. Winners of prestigious teaching awards, professional honors and competitive fellowships, our faculty advance teaching, research and society. Student Services Building 206 1600 Holloway Ave..